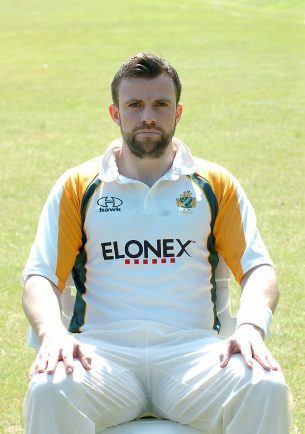 SKIPPER Andrew Sutton has urged Barnt Green for one last push as the club seek to secure their Birmingham League Premier Division status this weekend. The Cherry Hill Road side only need to claim victory over Dorridge on Saturday to ensure they retain their place in one of the best Premier cricket divisions in the country. Dorridge, who sit third-from-bottom and are just one point above the drop zone, are also seeking to retain their top flight status for a further year but Sutton wants to get the job done as soon as possible. “It’s going to be quite an exciting end of the season as the top two (Knowle & Dorridge and Berkswell) play each other in a title shoot-out while four or five teams could still get relegated,” he said. “I think over the last four games the lads have learnt a lot in terms of the batting as in those games we have got scores above 250. “If you’re doing that regularly then you are not going to lose many games. “Dorridge are going to be tough and we have got another big job ahead of us but I want us to go out there and play like we have done in the past four weeks. Green picked up their fourth straight win last Saturday with a 33-run victory over Smethwick. Warwickshire’s Matt Lamb top scored with 84 as Barnt Green reached 255-8, helped by 52 from George Hargrave. Sunny Singh took 3-50 for Smethwick who were dismissed for 222 in reply. Vikram Sohdi (54), Amrinder Brar (53) and Basit Zaman (48) all played well for the Black Country hosts but none of them went on to play the innings required to take them to victory. Sutton (2-30), Zain Ul-Hassan (2-18) and Jacques Banton (2-19) were pick of the bowlers for Green. “It was very good to see every chipping in along with the pros,” said Sutton. “We got off to a fantastic start which gave us the platform to build from and go hard in the final ten to 15 overs of the innings. “The method in our batting in the last four weeks has been fantastic and it showed again on Saturday.